If you seek peace and keep in touch with nature, can not fail to visit the Termas de Papallacta where you can enjoy its healing thermal waters, the Spa or just relax in their cabins. Departure from Quito by the route that leads to the Ecuadorian Amazon, after traveling through the Valley of Tumbaco ascend and cross the eastern mountain range of the Andes to the east of the city and then descend through the cloud forest, dense vegetation with bromeliads to reach the small town of Papallacta and its hot springs. 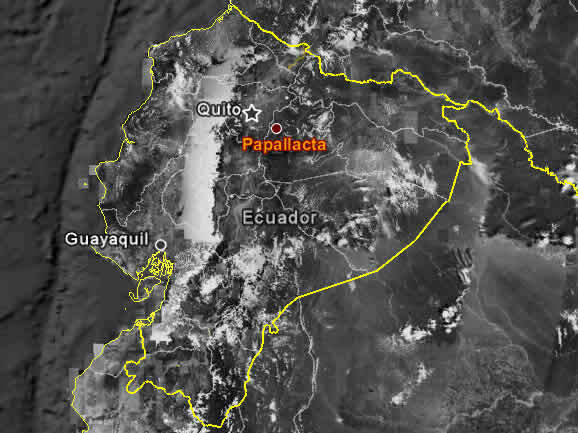 Papallacta is located about 60 km east of Quito, the Quito-Baeza road, and is located at 3,300 meters high in the southwest corner of the Cordillera Oriental. The Baths are located on the banks of the Papallacta river, offering a natural environment that has been maintained as scenic surroundings with nine thermal pools, a water pool river and the cold water pools of various sizes are a panorama picturesque. On our arrival we visit the Interpretation Center, which provides information on the protected area and its surroundings. Then we will continue our adventurous spirit in a nature walk along marked trails and pristine mountain streams, observing the flora and fauna of the Andean montane rain forest. Visit the Papallacta lagoon located in a wilderness with very cold weather and a beautiful view of natural landscapes. The area is an ideal place for birdwatchers with over 160 different species of birds including hummingbirds, tanagers and occasionally the Great Condor of the Andes. After this rewarding trek taste of a delicious lunch. In the afternoon we will relax in the spa, where we enjoy a leisurely dip in the pool, whose waters emerge from the internal geological layers through fissures to the surface with a unique health potential and beneficial effects of clear air that originates meeting the unique Amazonian air with rocks. In the thermal pools can experience the remarkable healing effects of the crystal clear springs. Soak in hot water and benefit from its healing properties for rheumatism, arthritis and digestive and respiratory processes. Warm clothes, bathing suit, rain protection, sunscreen, hat, good walking shoes and an extra pair of socks.